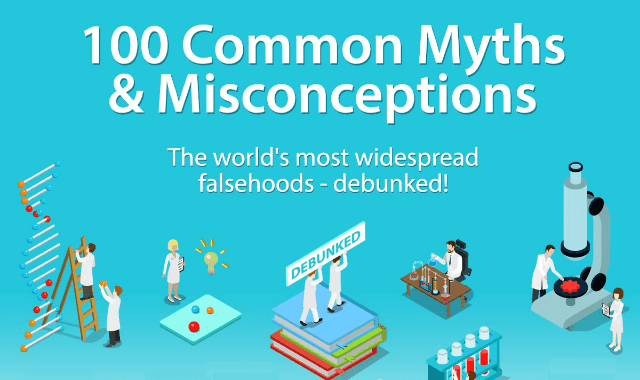 100 Common Myths & Misconceptions #Infographic ~ Visualistan '+g+"
The internet has busted open a floodgate of knowledge, and now more than ever you need special skills to separate truth from falsehood. Misconceptions have a way of wriggling into our brains and spreading through word-of-mouth, and social media has put that process on steroids. But fear not, the internet also delivers the tools to help us learn, like this new interactive graphic that puts to rest a whopping 100 most common myths you always see floating around. Yeah, it's as epic as it sounds.